As you can see by looking around, we have a new website under construction. We’re in the midst of building frenzy at the moment, always looking for the next thing to add to the site. One of the features we’d love to add is a Contributor’s Gallery, a visual history of the many wonderfully talented writers, poets, and artists On Spec has had the honour to feature over the years. 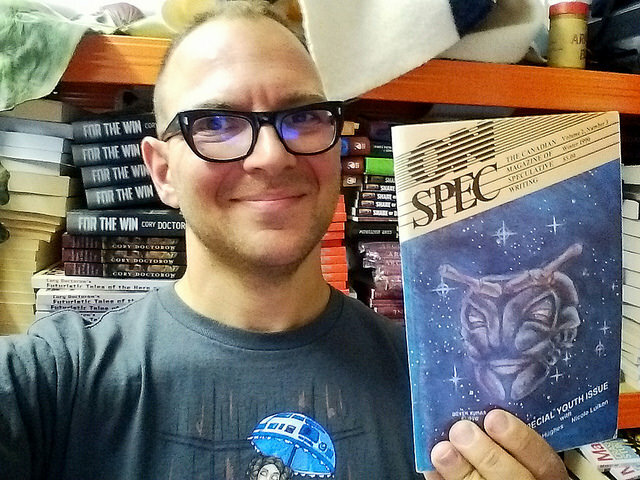 So this is our call to all past contributors: Send a photo of yourself, holding a copy of On Spec Magazine (preferably the copy or copies you were in), along with about 50-75 words telling us what you’re up to these days (including a link to your current site), to onspec@onspec.ca. Please title the email ‘Contributor Gallery’. 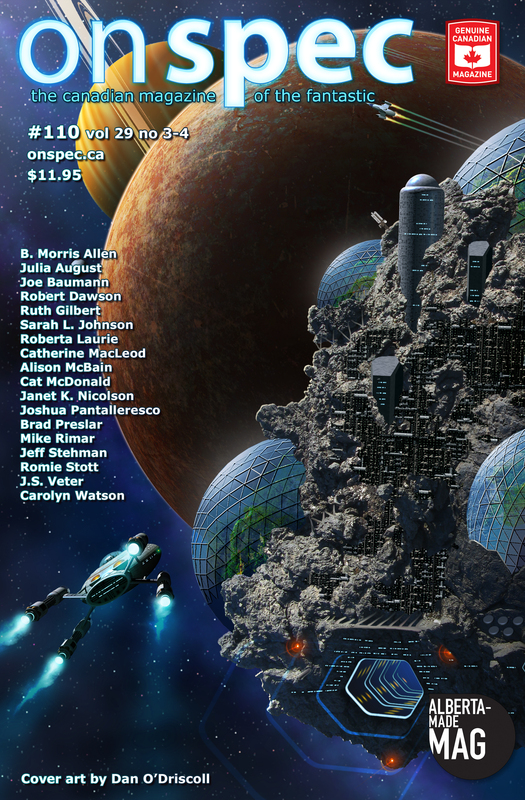 With your permission, we’ll post your picture and blurb in the Gallery, so everyone can marvel at the many people who have helped On Spec become one of Canada’s finest SF magazines. See how easy it is? No matter when you contributed or what you contributed, we want your photo! Please send it today. Previous PostAn Anthology 25 Years in the MakingNext PostAll Submissions Now Open!